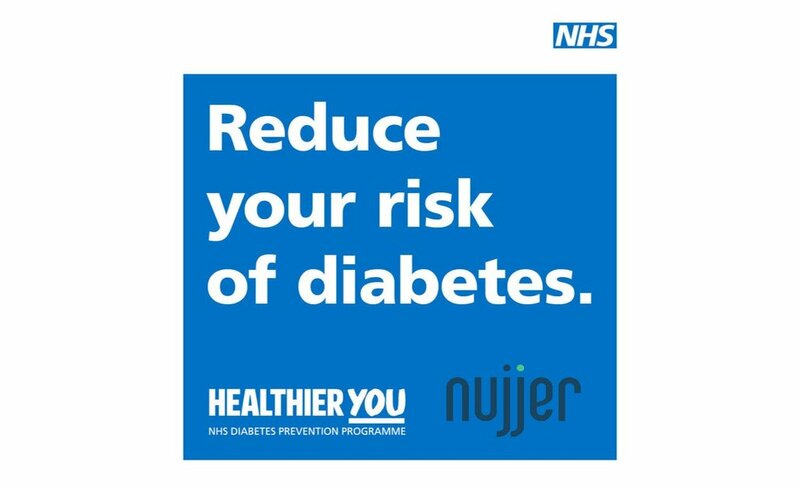 Nujjer is a digital behavioural change solution, helping you get active, eat healthier, lose weight and reduce your risk of type 2 diabetes. Nujjer consists of an activity sensitive wristband and smartphone application. The wristband collects data on your physical activity and eating habits while the app sends personalised, motivational messages in response to your data. You will gain access to educational modules that focus on diet, exercise and mental resilience to help you make sustainable changes to your lifestyle. The nujjer programme is a 12-month behavioural change solution that targets those at risk by encouraging physical activity and weight loss. The programme is based on an activity-sensitive wearable device, an mHealth app through which messages, educational modules that are based on the CDC modules and behavioural components are delivered. The programme is designed to enable participants to log/monitor their activity and eating habits. In collaboration with the Dasman Diabetes Institute, a clinical trial has been conducted in Kuwait on 600 patients at risk of type 2 diabetes mellitus. In collaboration with King’s Health Partners, a randomised controlled trial, representing a feasibility study, has been conducted in South London on 200 patients at risk of developing type 2 diabetes. Buddi has been selected as one of the 5 providers on the NHS Digital Diabetes Prevention Programme (NHS DDPP). The intervention has rolled out across 52 practices in Somerset to determine the effectiveness of the solution in the real-world. Sign up risk free - try nujjer for 4 weeks, if you are not satisfied we will provide a full refund! You can find our full list of blog posts here. Curious about what we're up to or have any questions?